The Musicians Union of Ghana, MUSIGA at a press soiree on Friday, December 12 has announced twenty most played songs on the radio in the year 2017. The statistics according to the music body was tabulated from the number of airplay these songs had in the year 2017. The job they said was done by Kisema, a logging system company in Ghana. 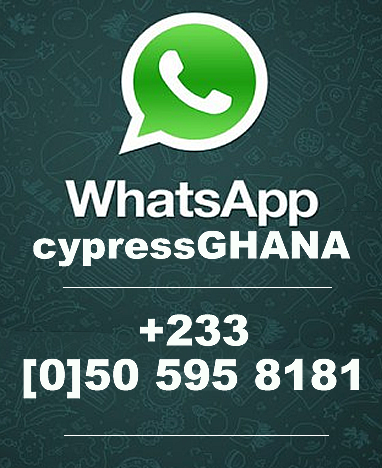 They made it clear to the press which included Cypress Ghana that the data does not include the constant play of the songs off radio. Female songstress Ebony topped the list with her song, Sponsor followed by music group Wutah with their hit single, Bronya. 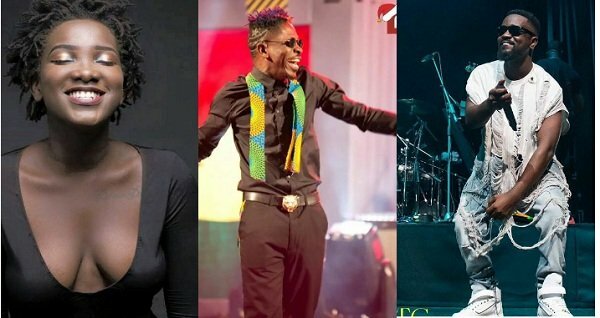 Addressing the press, the president of MUSIGA, Bice Osei-Kuffuor affectionately known as Obour explained that data in the Music Industry is missing and so as part of efforts to catalogue useful data and keep memorable records of artists’ contribution to entertainment in the country, the union has decided to outline top twenty songs every year. He also emphasized that the list centers on the songs that enjoyed maximum airplay and popular among the people. 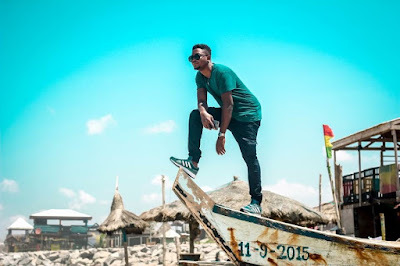 Also Obour indicated that the songs selected as top twenty enjoyed 80% airplay in the Country. 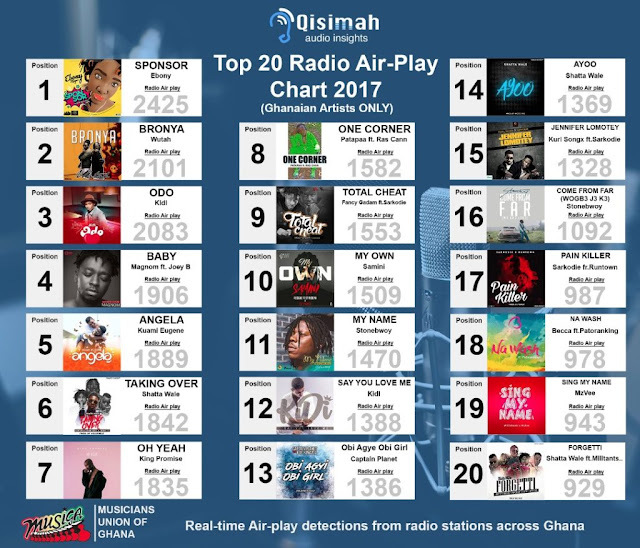 Below are the top 20 most played songs on the radio in Ghana for the year 2017.